KUCHING: Sarawak Progressive Democratic Party (SPDP) president Tan Sri William Mawan Ikom and Sarawak United People's Party (SUPP) former assistant secretary-general Datuk Seri Wong Soon Koh have quit their respective parties to join newly-formed Parti Tenaga Rakyat Sarawak (TERAS). Joining them are Baram Member of Parliament, Anyie Ngau and eight SPDP assemblymen, among them Datuk Sylvester Entri Muran, Datuk Peter Nansian Ngusie, Rosey Yunus and Paulus Palu Gumbang. Three assemblymen from SUPP followed Soon Koh's move. They are Dr Jerip Susil, Ranum Mina and Johnicol Rayong. An opposition assemblyman, George Lagong of the Sarawak Workers Party (SWP) also joined in TERAS. In a hastily-called press conference here today, Mawan, who is also a senior minister in the State Cabinet and Member of Parliament for Saratok, said he quit because he had been "elbowed out" from SPDP. Mawan, who had been the SPDP president since its formation in November 2002, said several leaders in the party were against the recent reinstatement of the membership of Entri, Nansian, Rosey and Paulus. "The reason I brought them back was to strengthen the party with the common desire to serve and consolidate Barisan Nasional," he said. He said his decision to quit should not be likened to a captain abandoning his ship but more to being a victim of mutiny. "(As a captain) I have been thrown overboard," he said. He said several other senior members of SPDP, including Mas Gading Member of Parliament, Anthony Nogeh, were expected to follow suit. 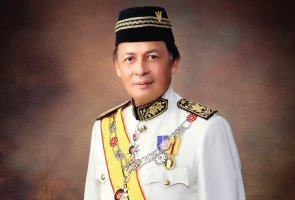 Mawan said they would apply to become a Barisan Nasional (BN) component party and believed Sarawak Chief Minister and State BN chairman, Tan Sri Adenan Satem, would have a formula to accept them even if there was resistance from SPDP or SUPP. Meanwhile, Soon Koh, who had been at loggerheads with SUPP president Tan Sri Peter Chin, said he decided to quit SUPP after finding out that there was nothing forthcoming from the peace plan for the party proposed by the BN top leadership. "Because of the breakdown in the peace plan, we don't want to keep quarrelling and are tired of the squabblings, we have to go," he said. Adenan, meanwhile, told reporters that he would comment on the matter after listening to the views of all those involved. "I will let them have their say first and I will give my comments at an appropriate time," he said.